Have a wickedly fun Halloween at Sky Ranch Tagaytay! It’ll be an all out Halloween festival with activities and games planned specially for you! Enjoy a scavenger hunt, dancing and a mystery game. There’ll be a costume contest to boot! 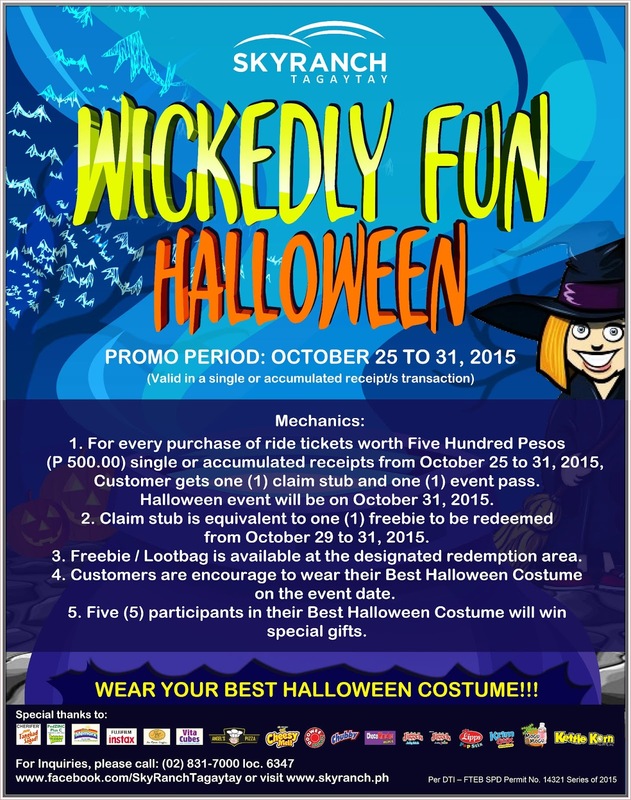 The best 5 Halloween costumes will win special gifts so make sure to dress to impress. Whether you’re scary, funny, spooky or magical you’ll be celebrating in the spirit of this wickedly fun holiday. Sky Ranch Tagaytay has many rides to conquer and to make your amusement park experience all the more memorable they’re improving the park by adding more thrilling rides. Their new rides include the BUMPER BOAT, BOAT PARADE, CHALLENGER, and CITY RAIL. The wide expanse of the park also includes dining establishments, gazebos and an events venue for special celebrations. 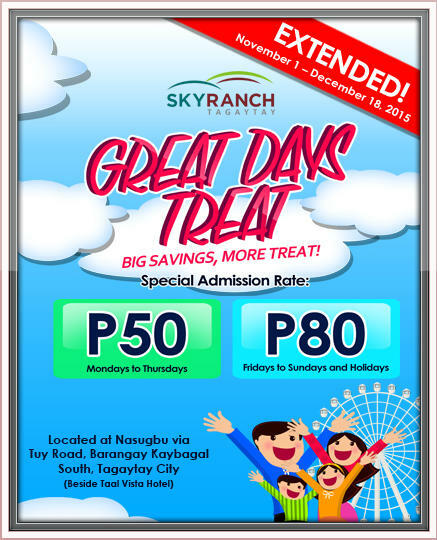 You’re in for even more of a treat as Sky Ranch extends its Great Days Treat! 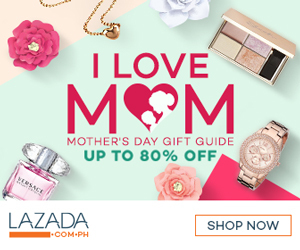 Bigger savings means more fun! Their special admission rates are now only Php50 from Mondays to Thursdays and Php80 from Fridays to Sundays including Holidays from November 1 to December 18. For more details, followSky Ranch Tagaytay on Facebook.